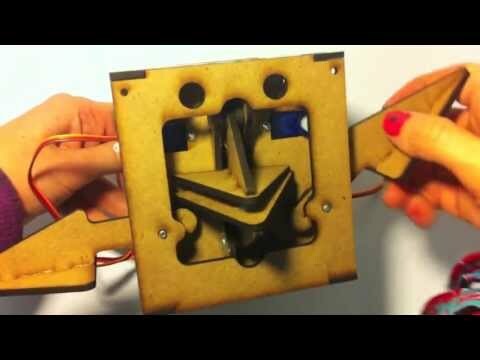 DIY Robot Kits – Toys for the FUTURE! Do-it-yourself robot kits are the building experience of the future to make whatever your imagination brings you! Our robots bring the classic look & feel of a toy, but they are designed to be put together and tinkered with. You construct the chassis, solder the brain of the robot, and program it. From there, it is up to your imagination on how to make your robot interact with the world. This video is an entry to the EYE50 competition. Robots do make the world a better place. What are you waiting for? LET’S BUILD A ROBOT!